In this podcast Rick and Juan answer questions live from the participants of Rick Time Square Photo Shoot, and we also have two interviews, first with Catherine Hall and with Fredrick Van Johnson. This episode is a little long, but we wanted make sure we include the interviews and questions. 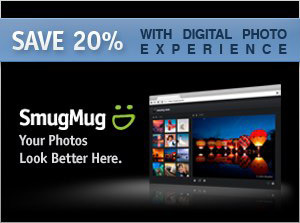 The DPE podcast is sponsored by the amazing folks at SmugMug. Make sure to check them out and if you sign up by following this link, you get an awesome 20% off your first year! How cool is that! This is Episode number 38 of the Digital Photo Experience Podcast with Rick Sammon & Juan Pons. Juan’s free wildlife seminar at B&H on July 6th.